covered front porch, charcoal grill, central heat and air. 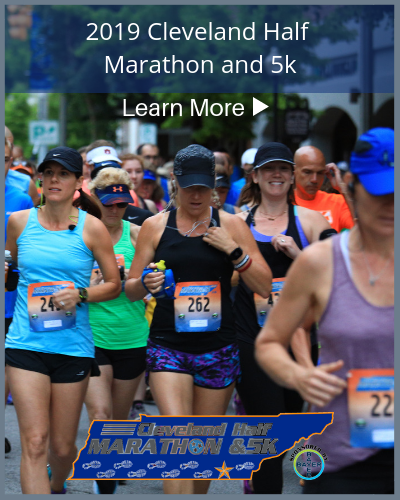 Convenient location to whitewater rafting, Parksville Lake, Chilhowee Recreation Area, grocery store and local restaurants. 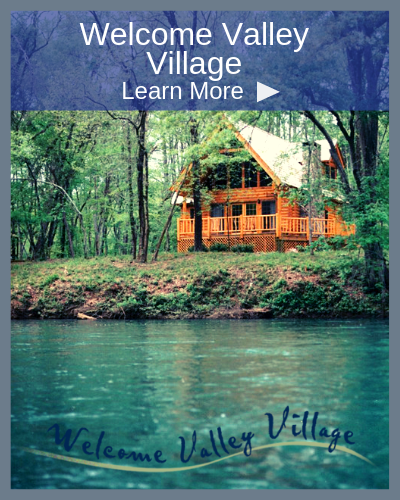 Cabins are one hour from downtown Chattanooga, twenty minutes from Cleveland, Tennessee and only minutes to Ocoee or Benton, Tennessee. 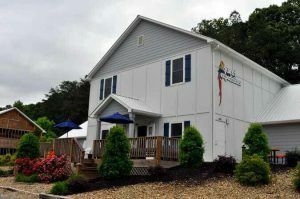 Our group bunkhouse provide convenient and economical lodging for groups up to 76. Located on property at our rafting headquarters each large bunkhouse accommodates up to 30 and the small bunkhouse accommodates up to 16. Each bunkhouse provides two sleeping areas with central heat/air, bunk beds, bathrooms, refrigerator, a covered front porch and access to our covered pavilion with grills for cookouts. You need to bring your pillow, sleeping bag or sheets and blanket along with towels. Also on property is a sand volleyball court, horseshoes and food service is available. Minimum rental per night for the large bunkhouses is $250.00 per bunkhouse for up to 20 guests, $12.50 each additional person plus all applicable taxes. Small bunkhouse rents for $200.00 per night for up to 16 guests plus all applicable taxes. 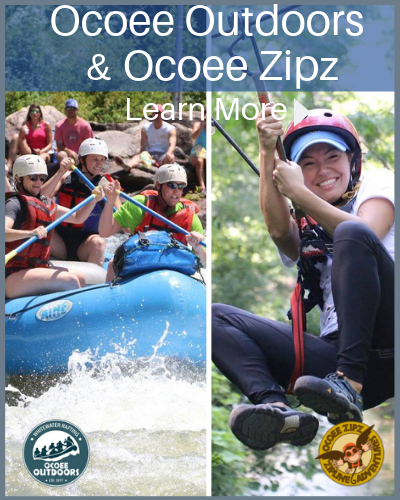 Whitewater Rafting on the Ocoee river in Tennessee is a wonderful outdoor experience for clubs, church groups, scouts, youth groups, even employees from work. We’ll help you with the logistics for a successful group trip on the Ocoee River.